Sweet Polli is a new collection designed especially for little ones! 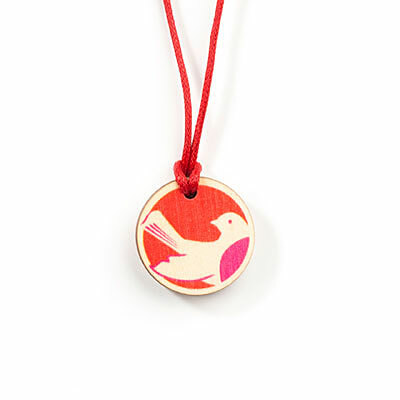 Made from sustainable plantation grown hoop ply pine, this pendant is hung from a cotton cord with a magnetic clasp which is safe and simple for little fingers. This Robin design is a Polli classic. Size: 20x20mm. Fun, colourful, pretty... so sweet!